3. Armstrong .M (2009), Handbook of Human Resources Management Practices, 11th edition. London :Kogan page. 4. Armstrong, M. (2010). Armstrong’s Essential Human Resource Management Practice ,a Guide to People Management , 12th edition. London: Kogan Page. 5. Balkin, B.D., Cardy., L.C. & Mejia.,L.R .(2007). Managing Human Resources, 5th edition. New Delhi :Pearson education. 6. Bechal, S. J; Helen, G; Susan, F; and Chris D, (2004) Health and Safety Law for the Construction Industry. 7. Borg and Gall (1993) Educational research. An introduction , Longman. New York. 8. Bratton, J & Gold, J .(2009). Human Resource Management Theory and Practice, 4th edition. 9. Carlson, Heth, Neil R. and Donald C. (2007). Psychology the Science of Behaviors. New Jersey, USA: Pearson, pp. 700. 11. Chapman, S & McNeill, N. (2005). Research Methods, 3rd edition. London: Routledge. 14. Cullen ,J . (2002)..A job to die for; Why so Many Americans are Killed, Injured or Made III at Work and What to Do About It. Monroe: Common Courage Press. 16. Dessler ,G. (2008).Human Resource Management,11th edition. New Delhi : Prentice Hall Inc.
18. Dohery,N. & Tyson,S. (2000). Human Resource Management and Employee Wellbeing: Raising the Ethical Stakes in D. Winstanley and J.Woodall (eds) Ethical Issues in Contemporary Human Resource Management. Basingstoke: Palgrave Macmillan. 19. Dyck,E. D .(2002). Disability Management: Theory, Strategy and Industrial Practice, 2nd edition. Markham Ontario: Butterworths. 20. Easter, K., Hegney,R .& Taylor,G .(2004). Enhancing Occupational Health & Safety. Elsevier Butterworth : Heinemann. 21. Everett, J.G. and Frank, P.B. (1996) Costs of Accidents and Injuries to the Construction Industry. Journal of Construction Engineering and Management, ASCE, Vol 122, No. 2, Paper No. 10616. 24. Gahlot, P.S; Dhir, B.M. & Nanacy M. (2002) Construction planning and management. Wiley Eastern ltd.
25. Gathuthi ,E.W., Kosgei ,Z.K.& Ng‟ang‟a, S.I .(2009). Fundamentals of Management Research Methods. Kenya Institute of Management, Nairobi: Macmillan Kenya (publishers) ltd.
27. Heinrich, H.W., Petersen, D. and Roos, N. (1980) Industrial Accident Prevention – A Safety Malaysian Journal of Civil Engineering 20(2) : 242 - 259 (2008) 259 Management Approach. Fifth Edition. USA: McGraw Hill. 36. Kartam N., A., Flood I., and Koushki P., (2000) Construction Safety in Kuwait: procedures, problem, and recommendation. Journal of Safety Science 36, pp. 163 –184. 40. Njuguna, G. N. (2007) Environmental planning and management. Towards better Environmental law. Management, Evaluation and Impact Assessment. ISBN 9966 -7175- 2 -8. 42. NSTP (2002) Appeal to Re-Hire the Indonesian Construction Workers. Malaysia. 44. Pipitsupaphol, T. and Watanabe, T. (2000) Identification of Root Causes of Labor Accidents in the Thai Construction Industry. Proceedings of the 4th Asia Pacific Structural Engineering and Construction Conference (APSEC 2000) 13-15 September 2000 Kuala Lumpur, pp193-202. 47. Ridley, J. (1986) Safety at Work, 2nd Edition. London: Butterworth Ltd.
48. Ridley, J. R. (2009) Health and Safety in Brief. Elsevier/Butterworth-Heinetnann. 51. Simon Joyston-Bechal and Helen Grice, 2nd edition. Thomas Teiford, London, 2004. 53. SOCSO (2001) Statistik Kemalangan Industri [online] Available. 54. Stranks, J. (2005). Health and Safety.' Law (5th ed. ed.). London: Premise Hall. .
58. Toole, T. M. (2002) Construction Site Safety Roles. Journal of Construction Engineering and Management, ASCE, 12(3) , pp.203-210. 59. Tucker, M., Sigafoos, J., & Bushell, H. (1998). Use of noncontingent reinforcement in the ttreatment of challenging behavior. Behavior Modification, 22, 529-547. Afolayan Abimbola Helen, Ojokoh Bolanle A., Falaki Samuel O.
Abstract: Rainfall is a stochastic process, whose upcoming event depends on some precursors from other parameters such as temperature, surface pressure and other atmospheric parameters.Accurate information about rainfall is necessary for the use and management of water resources. Nonetheless, rainfall is one of the most complex and difficult elements in hydrology due to the tremendous range of variation over a wide range of scales both in space and time. Forecasting techniques such as Artificial Neural Network (ANN) and Fuzzy Logic (FL) have been used to study rainfall. This research work is motivated by the need to compare ANN and FL models to know which one is more efficient in predicting rainfall. The rainfall datasets used in this research work were collected from an automatic weather station in Iju, a town in Akure North Local Government Area of Ondo State for the period of four years (2007-2010). The model comparison is based on four criteria; the Root Mean Square Error (RMSE), Mean Absolute Error (MAE), prediction error, and the prediction accuracy. The error measures are comparable for the two models. The analysis of the models accuracy, shows that, overall, the ANN model perform slightly better than the FL model in terms of PE, RMSE, MAE andaccuracy. 1. Agboola A. H, Iyare O,Falaki S.O (2012). An Artificial Neural Network Model for Rainfall Forecasting in South-Western Nigeria. Canadian Journal on Computing in Mathematics, Natural Sciences, Engineering and Medicine, Vol. 3 No. 6, pages 188-196, November 2012. 2. Agboola A.H, Gabriel A.J., Aliyu E.O. and Alese B.K. (2013). Development of a Fuzzy Logic Based Rainfall Prediction Model. International Journal of Engineering and Technology, Volume 3 No. 4, April, 2013. 3. Akinyokun, O.C. (2002); “Neuro-fuzzy Expert system for Evaluation of Human Resources Performance”: First Bank of Nigeria PLC Endowment Fund Lecture, The Federal University of Technology Akure, Nigeria. 4. Bardossy, A., Duckstein L. and Bogardi I. (1995); “Fuzzy rule-based classification of atmospheric circulation patterns”: Int. J. Climatol., 15: 1087-1097. 5. Baum, B.A., Tovinkere V., Titlow J. and Welch R.M. (1997) “Automated cloud classification of global AVHRR data using a fuzzy logic approach”: J. Applied Meteorol., 36: 1519-1540. 6. Chin, E.H (1977); “Modeling daily precipitation occurrence process with Markov chain”: Water Resources Research 13: 949-956. 7. Edvin and Yudha (2008); “Application of Multivariate ANFIS for Daily Rainfall Prediction: Influences Of Training Data Size”:Makara, Sains, Volume 12, No. 1, April 2008: 7-14 7. 8. Fujibe F. (1989); “Short-term precipitation patterns in central Honshu, Japan-classification with the fuzzy c-means method”: J. Meteorol. Soc. Jap., 67: 967-982. 9. Galambosi, A., Duckstein L., Ozelkan E. and I. Bogardi, 1999. Fuzzified effect of ENSO and macro circulation patterns on precipitation: An Arizona case study. Int. J. Climatol., 19: 1411-1426. 10. Gregory, J.M., Wigley, T.M.L. and Jones, P.D. (1993); “Application of Markov models to area average daily precipitation series and inter annual variability in seasonal totals”: Climate Dynamics 8: 299-310. 11. Guhathakurta, P (2006); “Long-range monsoon rainfall prediction of 2005 for the districts and sub-division Kerala with artificial neural network”: Current Science 90:773-779. 12. Halide, H. and Ridd P. (2002): “Modeling inter-annual variation of a local rainfall data using a fuzzy logic technique”: Proceedings of International Forum on Climate Prediction, 2002, James Cook Universiy, Australia, pp: 166-170. 13. Hansen B.K. (2003); “Fuzzy case based prediction of cloud ceiling and visibility”: http://collaboration.cmc.ec.gc.ca/science/arma/bjarne/papers/presentation_2003.pdf. 14. Hong Y. S., Rosen M. R., and Reeves, R. R. (2002); “Dynamic fuzzy modeling of storm water infiltration in urban fractured aquifers”: J. Hydrol. Eng., 7(5), 380–391. 15. Kappen, H.J. (1996); "An overview of neural network applications”: In Proceedings 6th International Congress for Computer Technology in Agriculture, (Wageningen, the Netherlands), pp. 75-79. 16. Karamouz, M., Zahraie B. and Eghdamirad S. (2004): “Seasonal rainfall forecasting using meteorological signals”: Proceedings of the 1st Conference of Iran Water Sources Management, Nov. 15-16, Technological Faculty, Tehran University, pp: 60-72. 17. Koizumi K. (1999); “An objective method to modify numerical model forecasts with newly given weather data using an artificial neural network”: Weather Forecast., 14, 109–118. 18. Lee S., Ryu J.H., Won, J.S. and Park H.J. (2004); “Determination and application of the weights for landslide susceptibility mapping using an artificial neural network”: Engineering Geology 71: 289-302. 19. Manusthiparom C., Oki T., and Kanae, S. ( 2003); “Quantitative Rainfall Prediction in Thailand”: First International Conference on Hydrology and Water Resources on Asia Pacific Region (APHW), Kyoto, Japan. 20. Maskey S., Guinot V., and Price R. K. (2004); “Treatment of precipitation uncertainty in rainfall-runoff modeling”: A fuzzy set approach. Adv. Water Resour, 27(9), 889–898. 21. Ozelkan, E.C., Ni F. and Duckstein L. (1996); “Relationship between monthly atmospheric circulation patterns and precipitation: Fuzzy logic and regression approaches”: Water Resour. Res., 32: 2097-2103. 22. Paresh and Chandramouli V. (2005); ”Fuzzy Neural Network Model for Hydrologic Flow Routing”: 10.1061/ (ASCE) 1084-0699(2005)10:4(302). 23. Pesti G., Shrestha B.P., Duckstein L. and Bogardi I. (1996): “A fuzzy rule-based approach to drought assessment”: Water Resour. Res., 32:1741-1747. 24. Shao J. (2000); “Fuzzy categorization of weather conditions for thermal mapping”: J. Applied Meteorol., 39: 1784-1790. 25. SurajitChattopadhyah (2001); “Multi-layered Feed forwardArtificial Neural Network (ANN) model to forecast average rainfall during summer-monsoon in India”: Department of Mathematics, Techno Model School Tecno India Group EM-4/1,Sector V, Salt Lake Kolkata 700 091 India. 26. Tayfur G., Ozdemir S., and Singh V. P. (2003); “Fuzzy logic algorithm for runoff-induced sediment transport from bare soil surfaces”: Adv. Water Resour., 26, 1249–1256. 27. Tilmant A., Vanclooster M., Duckstein L., and Persoons E. (2002); “Comparison of fuzzy and nonfuzzy optimal reservoir operating policies”: J. Water Resour. Plann. Manage, 128(6), 390–398. 28. Tsoukalas L.H and Uhrig R.E. (1997); “Fuzzy and neural approaches in engineering”: John Wiley and Sons, N.Y.
29. Vivekanandan, J., Ellis S.M., Oye R., Zrnic D.S., Ryzhkov A.V. and Straka J., (1999); “Cloud microphysics retrieval using s-band dual-polarization radar measurements”: Bull. Am. Meteorol. Soc., 80: 381-388. 30. Wilks, D.S. (1998); “Multisite generalization of a daily stochastic precipitation generation model”: Journal of Hydrology 210: 178-191. 31. Wong K.W., Wong P.M., Gedeon T.D. and Fung C.C. 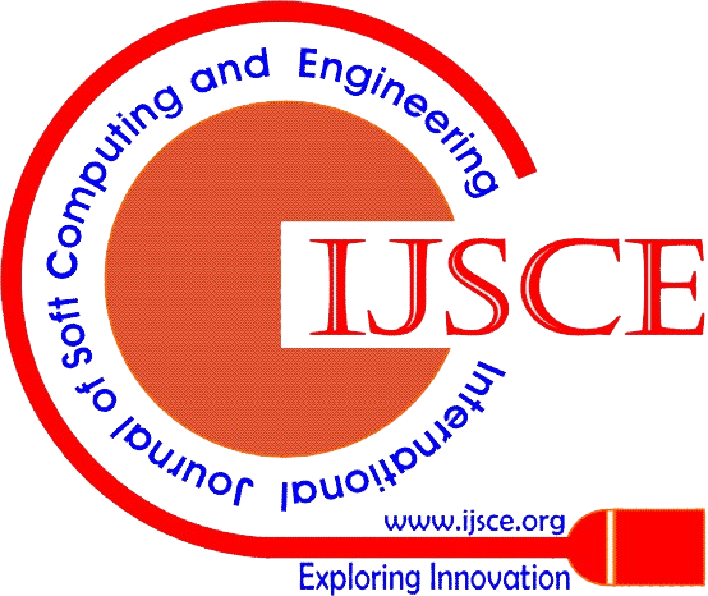 (2003); “Rainfall prediction model using soft computing technique”: Soft Computing 7: 434-438. 32. Zadeh L. A. (1965). "Fuzzy sets", Information and Control 8 (3): 338–353. Abstract: This paper addresses the development efforts towards realization of Smart vehicle. Commercial Vehicles with multiple radars has the limitation of more false detection as the detection technology is based on ‘ Skin’ mode of radar operation and the radar receives its transmitted energy after reflection from the body of the target vehicles. The ‘Transponder’ mode of radar operation will definitely improve the false detection leading to CAWAS system (Collision Avoidance and Warning System). The Vehicles will be the ‘friends’ to each other by integrating the local radar mounted on each vehicle with Vehicular Communication. The authors have developed one such CAWAS model utilizing the VLSI based advanced development platforms. This paper will highlight the achievements and limitations of the developed model. 1. ECC REPORT 56, ‘Compatibility of Automotive collision warning short range radar operating at 79 GHz with radio communication services’, Stockholm, October 2004. 2. Intelligent Transport System and CALM, ITU-T Technology watch report 1 , Oct 2007. 3. Barrientos et al, ‘CAWAS: Collision Avoidance and Warning system for Automotives based on Satellite’, 8th International IEEE Conference on Intelligent Transportation Systems Vienna, Austria, September 13-16, 2005. 5. A Menhajyx et al., ‘A new collision avoidance radar system using correlation receiver and compressed pulses’ , Meas. Sci. Technol. 9 (1998) 283–286, IOP Publishing Ltd.
Abstract: Strategic planning is a tool for organizing the present on the basis of the projections of the desired future. That is, a strategic plan is a road map to lead an organization from where it is now to where it would like to be in five or ten years in the future. In Kenya, there is failure in construction to achieve quality as seen in the frequent occurrence of building failure and collapsing (Mutoro, 2011). The aim of this study is to investigate the strategic factors that would enhance quality management implementation in the construction process. As the key to value creation, construction firms are deemed to treat quality as a strategic issue (Agbenyega, 2014). The main methods used in this journal is collection of data by survey, where questionnaires were distributed to 52 construction projects in progress within Kiambu County and then the data acquired was sorted using SPSS software. The writer approached the study using the positivist paradigm which enabled the researcher to make an objective analysis. This stance facilitated the researcher to use the quantitative research strategy and also questionnaire survey as the main data collection instrument for soliciting information from construction firms registered with the National Construction Authority and professionals registered with professional bodies recognised by the Kenyan government. The aim of the study was to describe strategic factors applied to quality management on construction projects. Keywords: Quality, Strategies, Practices, Quality management. Conference for Building & Construction, Egypt. 2. Adams &Bradt (2002). Construction Management. In Debella (2004) Construction Delivery Systems: A comparative Analysis of the Systems. Unpublished Thesis. 4. Atkin, B., Borgbrant, J., & Josephson, P. E. (Eds.). (2008). Construction process improvement. John Wiley & Sons. 6. Babbie.E. (2004). The Practice of Social Research. 10th Edition. Thomson-Wadsworth. 8. Berg, B. L., Lune, H., & Lune, H. (2004). Qualitative research methods for the social sciences (Vol. 5). Boston, MA: Pearson. 9. Chan, A. P., & Chan, A. P. (2004). Key performance indicators for measuring construction success. Benchmarking: an international journal, 11(2), 203-221. 11. Chung, H. (1999) Understanding Quality Assurance in Construction – A practical guide to ISO 9000. Bodmin: Spon. 12. Clarke, T. (2003) Managing Health and Safety in Building and Construction. Heinemann. 14. Dale, B. G., Van Der Wiele, T., & Van Iwaarden, J. (2013). Managing quality. New York: John Wiley & Sons. 15. David L. Goetsch, & Davis, S. (2010). Quality management for organizational excellence: Introduction to total quality. New York: Pearson Education International. 16. Delgado-Hernandez, DJ and Aspinwall, E (2008) Quality management case studies in the UKconstruction industry. Total Quality Management and Business Excellence,Abingdon: 19 (9). 17. Evans, J. R., & Lindsay, W. M. (2005). The management and control of quality (pp. pp-687). Mason, OH: South-Western. 18. Egan, J (1998) Rethinking Construction. Report of the Construction task force on the scopefor improving the quality and efficiency of UK construction, London: DETR. Fewings, P. (2013). Construction Project Management: an integrated approach. New York: Routledge. 19. Fryer, B, Egbu, C, Ellis, R and Gorse, C (2004) The Practice of Construction Management, 4th Ed, Blackwell Publishing. 20. Guide, A. (2008). PROJECT MANAGEMENT BODY OF KNOWLEDGE (PMBOK® GUIDE). In Project Management Institute. 21. Griffith, A and Bhutto, K. (2009) Managing quality, safety and environment as one. Proceedings of Institution of Civil Engineers, 162, 11. 22. Griffith, A and Howarth, T (2001) Construction Health and Safety Management, Longman. 23. Griffith, A and Watson, P. (2004) Construction Management – Principles and Practice, Palgrave MacMillan. 24. Harris, F., & McCaffer, R. (2013). Modern construction management. New York: John Wiley & Sons. 25. Haupt, TC and Whiteman, DE (2004) Inhibiting factors of implementing total qualitymanagement on construction site. The TQM Magazine, 16 (3), 166. 26. Hughes, W., Champion, R., & Murdoch, J. (2007). Construction contracts: law and management. New York: Routledge. 27. Joppe, M. (2000). The research process. New York: Routledge. 28. Juran, J.M. and Gyrna, F.M., (1999). Quality Planning and Analysis. McGraw-Hill. 29. Kaynak, H. (2003). The relationship between total quality management practices and their effects on firm performance. Journal of operations management, 21(4), 405-435. 30. Karim, S. B. A., (2007). Management in Construction and Researchers Association (MICRA). Meetings and Conference, 28-29 Aug 2007, Shah Alam, Selangor, Malaysia. 31. Kelessidis, V. (2000). Report produced for the EC funded Project INNOREGIO-Benchmarking. Thessaloniki, Technology Park. 32. Kivaa P.M (2008). A system dynamics model of construction output in Kenya. Melbourne: RMIT university press. 34. Latham, Sir M (1994) Constructing the Team, London: HMSO. 36. March, C (2009) Operations Management for Construction, Spon Press- Taylor and Francis. 38. McGeorge, D., & Zou, P. (2012). Construction management: new directions. New York: John Wiley & Sons. 39. Mugenda, O. M. & Mugenda, A. G. (1999). Research Methods. Quantitative and Qualitative Approaches. Nairobi: Acts Press. 41. Skogestad, S., & Postlethwaite, I. (2007). Multivariable feedback control: analysis and design (Vol. 2). New York: Wiley. Abstract: In the competitive market of the construction industry, construction firms attempt to implement projects within the least cost and time, and the highest quality. One of the factors that has been established to affect these parameters is the utilization of information and communication technology (ICT) Many ICT platforms have been developed to help in execution of projects. Kenyan construction firms have attempted to utilize several of them. However, many of the contractors have not managed to adopt many of the available ICT platforms This research explored the factors that hinder the Kenyan building contractors from achieving higher levels of ICT adoption. Eighty construction firms were selected mainly in class NCA1 and NCA2 through sampling. Practitioners directly involved in project implementation within various construction firms were interviewed to establish the factors that hinder them from achieving higher levels of this ICT adoption. The responses were analyzed and a narrative interpretation developed which established that the most prevalent factor hindering adoption is the rapid changes in ICT technologies, high cost of employing ICT professionals, satisfaction with the existing method of working, Inadequate knowledge about return on ICT investment, high cost of training ICT professionals and inadequate financial resources. 2. Ardagh, (2007) “a strategic view of RFID in construction”, RFID Centre Ltd in association with Construction Industry Computing Association. October, 2007. 8. Dainty et al. ( 2006). Communication in construction: Theory and practice. 14. Goh B. (2005). IT barometer 2003: Survey of the Singapore construction industry and a comparison of results. Journal of Information Technology in Construction (ITcon), Vol. 10, No. 1, 1-13. 16. Guevara, J. M. & Boyer, L. T. (1981). Communication Problems within Construction Engineering: pp. 552-557. 17. Haas, C.T., Richard L.T., Kamel S.S., and Nicole A.B. (2002). "The value of handheld computers in construction." Proceedings to International Symposium on Automation and Robotics in Construction, 557-562. Diss. The University of Texas at Austin, US. 19. Harris, F. and MacCaffer, R. (2001): “Modern Construction Management.” London: Blackwell Science -5th edition. 21. Kazi, A. S., Hannus, M. and Laitinen, J. (2001). ICT support for distributed engineering in construction. 24. Kish, L.(1965), Survey sampling. 25. Klinc, R., Turk, Z., and Dolenc, M. (2010), “ITC enable communication in construction 2.” Pollack Periodica, 5(1), 109-120. 26. Kling. (1980). Social Analyses of Computing: Theoretical Perspectives in Recent Empirical Research. ACM Computing Surveys, 12 (1), 61-110. 27. Lucas. (1975).Why information systems fail. New York: Columbia University Press. 30. Perreira, C.S. & Saores, AL. 2007. Improving the quality of collaboration requirements for information management through social networks analysis. International Journal of Information Management, 27: 86-103. 31. Pettigrew. (1985). The awakening giant: Continuity and change in impercial chemical industries. Oxford: Blackwell press. 33. Weippert et al. (2003). The implementation of online information and communication technology (ICT) on remote construction projects. Logistics information management, 16(5), pp.327 - 340. Abstract: An experimental study of the measurement of performance parameters of a single cylinder four stroke diesel engine using diesel fuel produced in Iraq and blended with ethanol was carried out. The test fuels were used in this study included E0 Beji (100 % diesel Beji fuel), E0 Basra (100 % diesel Basra fuel), E0 Daura (100 % diesel Daura fuel), E8 blended (8% ethanol and 92% diesel Basra fuel in vol. ), and E10 blended (10% ethanol and 90% diesel Basra fuel in vol.). The experimental measurements were performed at compression ratio of 22.5 at engine speed ranging from 1100 to 2600 rpm with an increment of 500 rpm, and engine torque ranging from 2 to 10 N.m with an increment of 2 N.m. Brake specific fuel consumption, brake thermal efficiency, brake power, mechanical efficiency, brake mean effective pressure and exhaust gas temperature were studied in this research. The experimental data from engine during test have been saved on the computerized program (ECA 100, VDAS) connected to the unit.The results show that the E8 blended fuel type registered the high value of brake specific fuel consumption .There were about 28.02 % for E8 blended fuel, 20.88 % E0 Beji fuel, 19.2 % for E0 Basra fuel, and 8.24% for E10 blended fuel higher of brake specific fuel consumption than that E0 Daura fuel. E0 Daura fuel type registered the high value of brake thermal efficiency followed by E0 Basra, E10 blended, and other types. E0 Daura fuel type recorded the high value of mechanical efficiency. E10 slightly recorded the higher value of brake mean effective pressure for all torques and speeds. E0 Basra diesel fuel gives higher exhaust gas temperature for all torques and speeds. Keywords: Diesel fuel; ethanol; Brake Specific Fuel Consumption; Indicated Power; Exhaust Gas Temperature . 2. Mustafa Balata, Havva Balat, Cahide Oz," Progress in bioethanol processing", Progress in Energy and Combustion Science 34, pp. 551–573, 2008. 3. S. Durga Prasad, G. Venkateswara Rao, K. Sri Rama Murthy," Effect of diesel-ethanol blends on performance of a diesel engine at different injection pressures", International Journal of Scientific & Engineering Research, Volume 4, Issue 6, June-2013. 4. Nivesh Vijayan, " Performance and Emission Characteristics of Diesel Engine Fuelled With Diesel-Biodiesel-Ethanol Blends", International Journal of Science and Research (IJSR), Volume 3 Issue 10, October 2014..
7. S. Padala, C. Woo, S. Kook, E.R. Hawkes," Performance Improvement of a Compression Ignition Engine by Ethanol and Diesel Dual-Fuelling", 18 th Australasian Fluid Mechanics Conference Launceston, Australia 3-7 December 2012. 8. M. Velliangiri and A. S. Krishnan, " An Experimental Investigation of Performance and Emission in Ethanol Fuelled Direct Injection Internal Combustion Engines with Zirconia Coating", Journal of Energy Technologies and Policy, Vol.2, No.2, 2012..
9. De-gang Li, Huang Zhen, Lu Xingcai, Zhang Wu-gao, Yang jian – guang,"Physico-chemical properties of ethanol-diesel blend fuel and its effect on performance and emissions of diesel engines", Journal of Renewable energy. 30, pp. 967-976. 2005. 10. E. A. Ajv, Bachchan Singh, T. K.,Bhatta Charya, "Experimental study of some performance parameter of a constant speed diesel engine using ethanol-diesel blend as fuel", Journal of Biomass and Bioenergy. 17: 357-365, 1999. 11. Jincheng Huang, Yaodong Wang, Shuangding LI, Anthony P, Roskilly, Hony dong Yu and Huiten Li," Experimental investigation on the performance and emission of a diesel engine fuelled with ethanol diesel blends", Journal of Applied Thermal Engineering. 29(11-12): 2484-2490, 2009. 12. R. Bhaskar Reddy, B. Siddeswararao," Performance Characteristics and Analysis of 4-Stroke Single Cylinder Diesel Engine Blend With 50% of Honne Oil at Various Fuel Injection Pressures", Journal of Engineering Research and Applications, Vol.4, Issue 8(Version1), pp.10-20, August 2014. 13. Pulkrabek W. W, "Engineering fundamentals of the internal combustion engines", 2nd Ed. New York, Prentice Hall. 2005. 14. Rahman M.M, Mohammed M.K, Bakar R.A." Effects of Air Fuel Ratio and Engine Speed on Engine Performance of Hydrogen Fueled Port Injection Engine", American Journal of Scientific Research PP: 23-33,2009. 16. Quality Control and Research Department ,Al-Daura Midland Refineries Company, Iraq, 2014. 17. G. Venkata Subbaiah, K. Raja Gopal and Syed Altaf Hussain," The Effect of Biodiesel and Bioethanol Blended Diesel Fuel on the Performance and Emission Characteristics of a Direct Injection Diesel Engine", Iranica Journal of Energy & Environment 1 (3):pp. 211-221, 2010. Abstract: The work presents a development of an on-line system for neurological tests. A variety of congruent, non-congruent and bradikinesia tests are described. The system is aimed at patients with a variety of neurological disorders and has been tested on Multiple Sclerosis and Parkinson Disease sufferers. The current implementation uses standard PC/laptop/tablet interface and is considered appropriate for conducting unsupervised in house tests. The main aim of this development is to facilitate a link between patient, personal clinician and specialist neurologist to allow speedy assessment of treatment effectiveness and on-time interventions. The main achievement is improved accuracy of time measurement allowing for the better differentiation in the disease progression assessment and/or earlier diagnosis. Keywords: presents, development, disease progression assessment and/or earlier diagnosis..
1. Multiple sclerosis and other demyelinating diseases. S.L.Hauser et al., in Harrison’s Principles of Internal Medicine. New York: McGraw-Hill; 1994. 2287–2295. 2. Oxford handbook of Clinical Medicine. M.Longmore et al, 7th Edition, Oxford University Press, 2007. 3. Multiple sclerosis. A Compston, A Coles, Lancet, 2008, 372(9648), 1502-17. 4. Stroop performance in multiple sclerosis: Information processing, selective attention, or executive functioning JAB Macniven, C Davis, M-Y Ho, CM Bradshaw, E Szabadi, CS Constantinescu, J of the Intl Neuropsychological Soc, 14, 2008, 805-814. 5. Studies of interference in serial verbal reactions, J.R. Stroop, J of Exp Psychology, 18(6), 1935, 643-662. 6. The Stroop colour-word test: A review, Jensen AR, Acta Psychologica, 25, 1966, 36–93. 7. Half a century of research on the Stroop effect: An integrative review. CM MacLeod, Psychological bulletin, 109 (2), 1991, 163–203. 8. The progress of cognitive decline in multiple sclerosis: A controlled 3-year follow-up, P.Kujala, R Portin, J Ruutiainen, Brain, 120, 1997, 289–297. 9. Executive function in multiple sclerosis: The role of frontal lobe pathology. J Foong, L Rozewicz, G Quaghebeur, CA Davie, LD Kartsounis, AJ Thompson, DH Miller, MA Ron, Brain, 120, 1997, 15–26. 10. Stroop interference and negative priming in patients with multiple sclerosis, M Vitkovitch, S Bishop, C Dancey, A Richards, Neuropsychologia, 40, 2002, 1570-1576. 11. Attention related performance in two cognitively different subgroups of patients with multiple sclerosis, P Kujala, R Portin, A Revonsuo, J Ruutiainen, Journal of Neurology, Neurosurgery & Psychiatry, 59, 1995, 77–82. 12. Cognitive dysfunction in multiple sclerosis: I. Frequency, patterns, and prediction, Rao, Stephen M. et. al, Unverzagt, Frederick, Neurology, 41(5), 1991, 685-691. 13. Speed of information processing in patients with multiple sclerosis, R.Kail, Journal of Clinical and Experimental Neuropsychology, 20, 1998, 98-106. 15. Turning bias and lateral dominance in able-bodied and amputee populations, MJD Taylor, SC Strike, P Dabnichki, Laterality: Asymmetries of Body, Brain and Cognition, 12, 2007, 50-63. 16. Strategies used for unconstrained direction change during walking. MJD Taylor, SC Strike, P Dabnichki, Perceptual and Motor Skills, 102, 2006, 576-588. Abstract: The work presents a proprietary development of a device specifically designed to be used in conjunction with the on-line system for neurological tests presented in part A of this work. The device was specifically developed for supervised tests where patients are asked to complete a sequence of tests for potential early diagnosis of neurological conditions. The device achieves very good accuracy of 2-5 ms and further allows measuring the applied force in real time. The software connects to a web portal allowing remote participation of a neurologist and is expected to enable better group differentiation among patients in terms of disease type, progression and treatment response. 4. Ubiquitous Computing in Sports: A Review and Analysis, A. Baca, P. Dabnichki, M. Heller, Ph. Kornfeind, Journal of Sport Sciences, 27, 2009, 1335-1346. 5. Introduction to the special issue on intelligent technologies in medicine and bioinformatics, G. Magoulasa, G. Douniasb, Computers in Biology and Medicine, 36, 2006, 1155-1184. 6. Old Age, New Technology, and Future Innovations in Disease Management and Home Health Care, J.F. Coughlin, J.E. Pope, B.R. Leedle, Home Health Care Manag & Prac, 2006, 18, 2006, 196-207. 7. A Decision Support System for Rheumatic Evaluation and Treatment in Oriental Medicine Using Fuzzy Logic and Neural Network, C. Thang, E.W. Cooper, Y. Hoshino, K. Kamei, Modeling Decisions for Artificial Intelligence, Lecture Notes in Comp Sc, 3558, 2005, 399-409. 8. Self-Learning Fuzzy Logic Control in Medicine”, D.G. Mason, D.A. Linkens, N.D. Edwards, Lecture Notes In Computer Science; 1211, Proceedings of the 6th Conference on Artificial Intelligence in Medicine in Europe, 1997, pp. 300-303. Abstract: Multiple-Input Multiple-Output Orthogonal Frequency Division Multiplexing (MIMO-OFDM) is a most enthralling technology which has been recently proposed in wireless communication. It provides high data rate services and offer better system performances. It improves data throughput and delivers highest capacity as well. However, MIMO-OFDM suffers with the disadvantage of high peak-to-average power ratio (PAPR) for the large number of subcarriers which can effect the system output. Therefore, to overcome the problem of high PAPR in OFDM systems, an effective technique called Modified selective mapping (SLM) is used along with Inverse Discrete Cosine Transform (IDCT) matrix combined with interleaveing and pulse shaping to reduce the peak-to-average power ratio on both transmitter and receiver sides. By simulation results, it is seen that the proposed technique reduces PAPR. 1. K. Muralibabu and Dr. M .Sundhararajan, “DCT Based PAPR and ICI Reduction Using Companding Technique in MIMO-OFDM System”, International Journal of Advanced Research in Computer Science and Software Engineering 3(8), August – 2013. 2. Mehboob Ul Amin, Randhir Singh and Javaid.A.Skeikh, “A New Method for PAPR Reduction in MIMOOFDM Using Combination of OSTBC Encoder and DCT Matrix”, International Journal of Recent Technology and Engineering (IJRTE) ISSN: 2277-3878, Volume-2, Issue-2, May 2013. 3. Karima El Mouhib and Ahmed Oquour, “PAPR Reduction Using BPSO/PTS and STBC in MIMO OFDM System”, Journal of Computer Science 7.4 (2011). 4. Emmanuel MANASSEH, Shuichi OHNOy and Yong JIN, “Minimization of PAPR in MIMO-OFDM Systems by Tone Reservation Techniques and Pilot Tones”, APSIPA ASC 2011. 5. Narmatha.T and Sathish Kumar.K, “An Enhanced Algorithm for Papr Reduction in MIMO OFDM/A”, IJARCST 2014. 6. P.Mukunthan and P.Dananjayan, “A Modified PTS Combined with Interleaving and Pulse Shaping Method Based on PAPR Reduction for STBC MIMO-OFDM System”, WSEAS Transactions on Communications 12.3 (2013). 7. Seyran Khademi and Alle-Jan van der Veen, “Constant Modulus Algorithm for Peak-to-Average Power Ratio (PAPR) Reduction in MIMO OFDM/A”, IEEE Signal Processing Letters, Vol. 20, No. 5, May 2013. 8. Gamal Mabrouk Abdel–Hamid, Sahar Abdel- Rahman and Hala Gaber Farrag, “Performance Improvement of MIMO-OFDM Wireless Systems using PAPR Reduction Techniques”, International Journal of Computer Applications (0975 – 8887) Volume 53– No.18, September 2012. 9. ÖĞR.GÖR. MURAT TÖREN, “PAPR Reduction with Wavelet Transform and Different PAPR Reduction Tecniques in MIMO-OFDM Systems”, Journal of Engineering and Architecture, Vol. 1 No. 2, December 2013. 10. Chin-Liang Wang, Shun-Sheng Wang and Hsiao-Ling Chang, “A Low-Complexity SLM Based PAPR Reduction Scheme for SFBC MIMO-OFDM Systems”, Wireless Communications and Networking Conference (WCNC), 2011 IEEE. 11. Seyran Khademi, Alle-Jan Van der Veen and Thomas Svantesson, “Precoding Technique for Peak-To-Average-Power-Ratio (Papr) Reduction in Mimo Ofdm/A Systems”, Acoustics, Speech and Signal Processing (ICASSP), 2012 IEEE International Conference on IEEE 2012. 12. Christoph Stude and Erik G. Larsson, “PAR-Aware Large-Scale Multi-User MIMO-OFDM Downlink”, IEEE Journal on Selected Areas in Communications, Vol. 31, No. 2, February 2013. 13. G. O. Young, “Synthetic structure of industrial plastics (Book style with paper title and editor),” in Plastics, 2nd ed. vol. 3, J. Peters, Ed. New York: McGraw-Hill, 1964, pp. 15–64. 14. W.-K. Chen, Linear Networks and Systems (Book style). Belmont, CA: Wadsworth, 1993, pp. 123–135. 15. H. Poor, An Introduction to Signal Detection and Estimation. New York: Springer-Verlag, 1985, ch. 4. 16. B. Smith, “An approach to graphs of linear forms (Unpublished work style),” unpublished. 17. E. H. Miller, “A note on reflector arrays (Periodical style—Accepted for publication),” IEEE Trans. Antennas Propagat., to be published. 18. J. Wang, “Fundamentals of erbium-doped fiber amplifiers arrays (Periodical style—Submitted for publication),” IEEE J. Quantum Electron., submitted for publication. 19. C. J. Kaufman, Rocky Mountain Research Lab., Boulder, CO, private communication, May 1995. 20. Y. Yorozu, M. Hirano, K. Oka, and Y. Tagawa, “Electron spectroscopy studies on magneto-optical media and plastic substrate interfaces(Translation Journals style),” IEEE Transl. J. Magn.Jpn., vol. 2, Aug. 1987, pp. 740–741 [Dig. 9th Annu. Conf. Magnetics Japan, 1982, p. 301]. 21. M. Young, The Techincal Writers Handbook. Mill Valley, CA: University Science, 1989. Abstract: Compressing the ECG signal is considered a feasible solution for supporting a system to manipulate the package size, a major factor leading to congestion in an ECG wireless network. Hence, this paper proposes a compression algorithm, called the advanced two-state algorithm, which achieves three necessary characteristics: a) flexibility towards all ECG signal conditions, b) the ability to adapt to each requirement of the package size and c) be simple enough. In this algorithm, the ECG pattern is divided into two categories: “complex” durations such as QRS complexes, are labelled as low-state durations, and “plain” durations such P or T waves, are labelled as high-state durations. Each duration type can be compressed at different compression ratios, and Piecewise Cubic Spline can be used for reconstructing the signal. For evaluation, the algorithm was applied to 48 records of the MIT-BIH arrhythmia database (clear PQRST complexes) and 9 records of the CU ventricular tachyarrhythmia database (unclear PQRST complexes). Parameters including Compression Ratio (CR), Percentage Root mean square Difference (PRD), Percentage Root mean square Difference, Normalized (PRDN), root mean square (RMS), Signal-to-noise Ratio (SNR) and a new proposed index called Peak Maximum Absolute Error (PMAE) were used to comprehensively evaluate the performance of the algorithm. Eventually, the results obtained were positive with low PRD, PRDN and PMAE at different compression ratios compared to many other loss-type compressing methods, proving the high efficiency of the proposed algorithm. All in all, with its extremely low-cost computation, versatility and good-quality reconstruction, this algorithm could be applied to a number of wireless applications to control package size and overcome congested situations. Keywords: ECG compression, Telemedicine, ECG pattern classification, adaptive package size. 1. Mirza Mansoor Baig, Hamid Gholamhosseini, “Smart health monitoring systems: an overview of design and modeling”. J.Med. Syst. 37(2) (2013). doi: 10.1007/s10916-012-9898-z. 2. E.C. Kyriacou, C.S .Pattichis, M.S. Pattichis, “An overview of recent health care support systems for eEmergency and mHealth applications”. Conf. Proc. IEEE Eng. Med. Biol. Soc. 2009, 1246–1249. doi: 10.1109/IEMBS.2009.5333913. 3. J. Korhonen, Ye Wang, “ Effect of packet size on loss rate and delay in wireless links”. Wireless Communications and Networking Conference, 2005 IEEE 3, 1608–1613 (2005). doi: 10.1109/WCNC.2005.1424754. 4. N. Yaakob, I. Khalil, Hu Jiankun, “Performance Analysis of Optimal Packet Size for Congestion Control in Wireless Sensor Networks”. The 9th IEEE International Symposium on Network Computing and Applications (NCA), Cambridge, Massachusetts, 15-17 June 2010, 210–213. doi: 10.1109/NCA.2010.37. 5. Xuedong Liang, Ilangko Balasingham, “Performance analysis of the IEEE 802.15.4 based ECG monitoring network”. Proceedings of the Seventh IASTED international conferences: wireless and optical communications, Montreal, Quebec, Canada, 2007, 30 May - 1 June. 6. M.S. Manikandan, , S. Dandapat, “Wavelet threshold based TDL and TDR algorithms for real-time ECG signal compression”. Biomedical Signal Processing and Control 3(1), 44–66 (2008). doi: doi:10.1016/j.bspc.2007.09.003. 7. W. Mueller, “Arrhythmia detection program for an ambulatory ECG monitor”. Biomed. Sci. Instrum 14, 81–85 (1978). 8. J.R Cox, FM Nolle, A. Fozzard, G. Oliver, “AZTEC, a preprocessing program for real-time ECG rhythm analysis”. IEEE. Trans. Biomed. Eng. 15(4), 128–129 (1968). 9. J.P. Abenstein, W.J. Tompkins, “New data reduction algorithm for real-time ecg analysis”. IEEE Trans Biomed Eng. 29(1), 43–48 (1982). 10. M. Ishijima, S.B. Shin, G.H.Hostetter, J. S.klansky. “Scan-along polygon approximation for data compression of electrocardiograms”. Med Biol Eng Comput. 30(11), 723–729 (1983). 11. Y. Zigel, A. Cohen, A. Katz, “ECG signal compression using analysis by synthesis coding”. IEEE Trans. Biomed. Eng. 47(10), 308–316 (2000). 12. G. Nave, A. Cohen, “ECG compression using long term prediction”. IEEE Trans. Biomed. Eng. 40(9), 877–885 (1993). doi: 10.1109/10.245608. 13. P.S. Hamilton, W.J. Tompkins, “Compression of ambulatory ECG by average beat subtraction and residual differencing”. IEEE Trans. Biomed. Eng. 38(3), 253–259 (1991). doi: 10.1109/10.133206. 14. Cohen, Y. Zigel, “Compression of multichannel ECG through multi-channel long-term prediction”. IEEE Eng. Med. Biol. Mag. 16(4), 109–115 (1998). doi: 10.1109/51.646227. 15. Cohen, P.M. Poluta, R. Scott-Millar, “Compression of ECG signals using vector quantization”. Proceedings of the IEEE-90 S. A Symposium of the Communications and Signal Processing, COMSIG-90, Johannesburg, 1990, 45–54. 16. C.P. Mammen, B. Ramamurthi, “Vector quantization for compression of multichannel ECG”. IEEE Trans. Biomed. Eng. 37(9), 821–825 (1990). doi: 10.1109/10.58592. 17. S.G. Miaou, H.L. Yen, “Multichannel ECG compression using multi-channel adaptive vector quantization”. IEEE Trans. Biomed. Eng. 48(10), 1203–1207 (2001). doi: 10.1109/10.951524.18. J. Cardenas-Barrera, J. Lorenzo-Ginori, “Mean-shape vector quantization for ECG signal compression”. IEEE Trans. Biomed. Eng. 46(1), 62–70 (1999). doi: 10.1109/10.736756. 19. W. Philips, “ECG data compression with time-warped polynomials”. IEEE Trans. Biomed. Eng. 40(11), 1095–1101 (1993). doi: 10.1109/10.245626. 20. L.V. Batista, E.U.K. Melcher, L.C. Carvalho, “Compression of ECG signals by optimized quantization of discrete cosine transform coefficients”. Med. Eng. Phys. 23(2), 127–134 (2001). doi: 10.1016/S1350-4533(01)00030-3. 21. M.E. Womble, J.S. Halliday, S.K. Mitter, M.C. Lancaster, J.H. Triebwasser, “Data compression for storing and transmitting ECGs/VCG’s”. Proceeding of IEEE 65(5), 702–706 (1977). doi: 10.1109/PROC.1977.10550. 22. B.R.S. Reddy, I.S.N. Murthy, “ECG data compression using Fourier descriptors”. IEEE Trans. Biomed. Eng. 33(4), 428–434 (1986). doi: 10.1109/TBME.1986.325799. 23. W.S. Kuklinski, “Fast Walsh transform data-compression algorithm: ECG applications”. Med. Biol. Eng. Comput. 21(4), 465–472 (1983). doi: 10.1007/BF02442635. 24. E. Berti, F. Chiaraluce, N.E. Evans, J.J. McKee. “Reduction of Walsh-transformed electrocardiograms by double logarithmic coding”. Trans. Biomed. Eng. 47(11), 1543–1547 (2000). doi: 10.1109/10.880108. 25. A.G. Ramakrishnan, S. Saha, “ECG compression by multirate processing of beats”. Comput. Biomed. Res. 29(5), 407–409 (1996). doi: 10.1006/cbmr.1996.0030. 26. M. Blanco-Velasco, “A low computational complexity algorithm for ECG signal compression”. Med. Eng. Phys. 26(7), 553–568 (2004). 27. J.H. Husoy, T. Gjerde, “Computationally efficient sub-band coding of ECG signals”. Med. Eng. Phys. 18(2), 132–142 (1996). doi: 10.1016/1350-4533(95)00028-3. 28. R.S.H. Istepanian, A.A. Petrosian, “Optimal zonal wavelet-based ECG data compression for a mobile telecardiology system”. IEEE Trans. Inf. Tech- nol. Biomed. 4(3), 200–211 (2000). doi: 10.1109/4233.870030. 29. Sangjoon Lee, Jungkuk Kim, Jong-Ho Lee, “A real-Time ECG Data Compression and Transmission Algorithm for an e-Health Device”. IEEE Trans. Biomed. Eng. 58(9), 2448–2455 (2011). doi: 10.1109/TBME.2011.2156794. 30. R.S.H. Istepanian, L.J. Hadjileontiadis, S.M. Panas, “ECG data compression using wavelets and higher order statistics methods”. IEEE Trans. Inf. Technol. Biomed. 5(2), 108–115 (2001). doi: 10.1109/4233.924801. 31. W.J. Hwang, C.F. Chine, K.J. Li, “Scalable medical data compression and transmission using wavelet transform for telemedicine applications”. IEEE Trans. Inf. Technol. Biomed. 7(1), 54–63 (2003). doi: 10.1109/TITB.2003.808499. 32. S.G. Miaou, H.L. Yen. “A quality-on-demand algorithm for wavelet-based compression of electrocardiogram signals”. IEEE Trans. Biomed. Eng. 49(3), 233–239 (2002). 33. Z. Lu, D.Y. Kim, W.A. Pearlman, “Wavelet compression of ECG signals by the set partitioning in hierarchical trees method”. IEEE Trans. Biomed. Eng. 47(7), 849–856 (2000). 34. B.S. Kim, S.K. Yoo, M.H. Lee, “Wavelet-based low-delay ECG compression algorithm for continuous ECG transmission”. IEEE Trans. Inf. Tech- nol. Biomed. 10(1), 77–83 (2006). doi: 10.1109/TITB.2005.856854. 35. C.T. Ku, H.S. Wang, K.C. Hung, Y.S. Hung, “A novel ECG data compression method based on nonrecursive discrete periodized wavelet transform”. IEEE Trans. Biomed. Eng. 53(12), 2577–2583 (2006) (Part 1). 37. Hsieh-Wei Lee, King-Chu Hung, Tsung-Ching Wu, Cheng-Tung Ku, “A Modified Run-Length Coding towards the Realization of a RRO-NRDPWT-Based ECG Data Compression System”. EURASIP Journal on Advances in Signal Processing 2011, 2011:703752. doi:10.1155/2011/703752. 38. Hakan Gurkan, “Compression of ECG signals using variable-length classifıed vector sets and wavelet transforms”. EURASIP Journal on Advances in Signal Processing 2012, 2012:119. doi:10.1186/1687-6180-2012-119. 39. M.L. Hilton, “Wavelet and wavelet packet compression of electrocardiograms”. IEEE Trans. Biomed. Eng. 44(5), 394–402 (1997). doi: 10.1109/10.568915. 40. Alesanco, S. Olmos, R.S.H. Istepanian, J. Garcya. “Enhanced real-time ECG coder for packetized telecardiology applications”. IEEE Trans. Inf. Technol. Biomed. 10(2), 229–236 (2006). doi: 10.1109/TITB.2005.856853. 41. S.G. Miaou, H.L. Yen, C.L. Lin, “Wavelet-based ECG compression using dynamic vector quantization with tree codevectors in single codebook”. IEEE Trans. Biomed. Eng. 49(7), 671–680 (2002). doi: 10.1109/TBME.2002.1010850. 42. S.G. Miaou, S.N. Chao, “Wavelet-based Lossy-to-Lossless ECG compression in a unified vector quantization framework”. IEEE Trans. Biomed. Eng. 52(3), 539–543 (2005). doi: 10.1109/TBME.2004.842791. 43. J.J. Wei, C.J. Chang, N.K. Chou, G.J. Jan. “ECG data compression using truncated singular value decomposition”. IEEE Trans. Biomed. Eng. 5(4), 290–295 (2001). doi: 10.1109/4233.966104. 44. Bilgin, M.W. Marcellin, M.I. Altbach. “Compression of electrocardiogram signals using JPEG2000”. IEEE Trans. Consum. Electron. 49(4), 833–840 (2003). doi: 10.1109/TCE.2003.1261162. 45. S.C. Tai, C.C. Sun, W.C. Tan. “2-D ECG compression method based on wavelet transform and modified SPIHT”. IEEE Trans. Biomed. Eng. 52(6), 999–1008 (2005). doi: 10.1109/TBME.2005.846727. 46. H.H. Chou, Y.J. Chen, Y.C. Shiau, T.S. Kuo. “An Effective and Efficient Compression Algorithm for ECG Signals With Irregular Periods”. IEEE Trans. Biomed. Eng. 53(6), 1198–1205 (2006). doi: 10.1109/TBME.2005.863961.47. H. Lee, K.M. Buckley. “ECG data compression using cut and align beats approach and 2-D transforms”. IEEE Trans. Biomed. Eng. 46(5) 556–565 (1999). doi: 10.1109/10.759056. 49. S.M.S. Jalaleddine, C.G. Hutchens, R.D. Strattan, W.A. Coberly. “Ecg data compression techniques–a unified approach”. IEEE Trans Biomed Eng. 37(4), 329–343 (1990). doi:10.1109/10.52340. Abstract: In the process industries convergence of a batch gradient method with inner-penalty and adaptive momentum is inspection for training pi-sigma neural networks. The role of the usual penalty is considered, which is a term proportional to the norm of the weights to control the magnitude of the weights and improve the generalization performance of the network. The monotonicity theorem and two convergence theorems of our gradient algorithm with inner-penalty term is guaranteed during the training iteration. Conference on Neural Networks, vol. 1(1991)13-18. 2. Y. Shin, J. Ghosh and Y. M. Yoon, A complex pi-sigma network and its application to equalization of nonlinear satellite channels, International Conference on Neural Networks vol. 1(1997)148-152. 3. X. Yu, M. O. Efe and O. Kaynak, A general back-propagation algorithm for feedforward neural networks learning, IEEE Trans. Neural Networks vol. 13(2002) 251-259. 4. P. Estevez and Y. Okabe, Training the piecewise linear-high order neural network through error back propagation, International Joint Conference on Neural Networks, vol. 1(1991) 711-716. 5. H. M. Shao and G. F. Zheng, Boundedness and convergence of online gradient method with penalty and momentum, Neurocomputing , vol. 74(2011) 765-770. 6. R. Reed, Pruning algorithms-a survey, IEEE Transactions on Neural Networks, vol. 8(1997) 185-204. 7. L. Villalobos and F. L. Merat, Learning capability assessment and feature space optimization for higher-order neural networks, IEEE Transaction on Neural Networks vol. 6 (1995) 267-272. 8. L. Ma and K. Khorasani, A new strategy for adaptively constructing multilayer feedforward neural networks, Neurocomputing vol. 51 (2003) 361-385. 9. J. Hussain and P. Liatsis, A new recurrent polynomial neural network for predictive image coding, Image Processing And Its Applications vol. 1 (1999) 82-86. 10. V. K. Asari, Training of a feedforward multiple-valued neural networks by error backpropagation with a multilevel threshold function, IEEE Trans. Neural Networks vol. 12 (2001) 1519-1521. 11. G. E.Hinton, Connectionist learning procedures, Artificial Intelligence, vol. 40 (1989) 185-234. 12. M.T. Hagan and M. B. Mehnaj, Training feedforward networks with Marquardt algorithms, IEEE Trans. Neural Networks vol. 5 (1994) 989-993. 13. S. Roy and J. J. Shynk, Analysis of the momentum LMS algorithm, IEEE Transactions on Acoustics, Speech, and Signal Processing, vol. 38 (12) (1990) 2088-2098. 14. M. Torii and M.T. Hagan, Stability of steepest descent with momentum for quadratic functions, IEEE Transactions on Neural Networks, vol. 13 (3) (2002) 752-756. 15. J. Kong and W. Wu, Online gradient methods with a punishing term for neural networks. Northeast Math. J vol. 173 (2001) 371-378. 16. Crema, M. Loreto and M. Raydan, Spectral projected subgradient with a momentum term for the Lagrangean dual approach, Computers and Operations Research vol. 34 (10) (2007) 3174-3186. 17. V. V. Phansalkar and P. S. Sastry, Analysis of the back-propagation algorithm with momentum, IEEE Transactions on Neural Networks, vol. 5 (3) (1994) 505-506. 18. S. Abid, F. Fnaiech and M. Najim, A fast feedforwardt raining algorithm using a modified form of the standard back-propagation algorithm, IEEE Trans. Neural Networks, vol. 12 (2001) 424-430. 19. E. Istook, T. Martinez, E. Istook and T. Martinez, Improved backpropagation learning in neural networks with windowed momentum, International Journal of Neural System, vol. 12 (2002) 303-318. 20. R. Setiono, Apenalty-function approach for pruning feedforward neural networks, Neural Networks, vol. 9, (1997) 185-204. 21. Bhaya and E. Kaszkurewicz, Steepest descent with momentum for quadratic functions is a version of the conjugate gradient method, Neural Networks, vol. 17 (2004) 65-71. 22. H. M. Shao, D. P. Xu, G. F. Zheng and L. J. Liu, Convergence of an online gradient method with inner-penalty and adaptive momentum, Neurocomputing , vol. 77(2012) 243-252. 23. N.M. Zhang, W. Wu and G.F. Zheng, Convergence of gradient method with momentum for two-layer feedforward neural networks, IEEE Trans. Neural Networks vol. 17 (2) (2006) 522-525. 24. Z.G. Zeng, Analysis of Global Convergence and Learning Parameters of the Back-propagation Algorithm for Quadratic Functions, Lecture Notes in Computer Science, vol. 4682 ( 2007) 7-13. 25. N.M. Zhang, An online gradient method with momentum for two-layer feedforward neural networks, Appl. Math. Comput. Vol. 212(2009) 488-498. 26. N. M. Zhang, Deterministic Convergence of an Online Gradient Method with Momentum, Lecture Notesin Computer Science, vol.4113 (2006) 94-105. 27. W. Wu, G. R. Feng and X. Li, Training multilayer perceptrons via minimization of sum of ridge functions. Adv. Comput. Math., vol. 17 (2002) 331-347. 28. Y.X. Yuan and W.Y. Sun, Optimization Theory and Methods, Science Press, Beijing, 2001. Abstract: In this paper, we introduced modified algorithm based on traditional Landweber deblurring algorithm for reducing amount of blur and noise from satellite images. Blur image is general issue in image processing and it is hard to avoid. Image enhancement in terms of deblurring and denoising are necessary to reduce blur amount as well as noise from the image. There are few deblurring algorithms exist to deblur an image. However, if noise is present, they perform poorly. By using proposed algorithm, we get better results in terms of PSNR, execution time and complexity with blurry as well as noisy images. Keywords: Image Deblurring, Image Denoising, Convolution, Point Spread Function (PSF), Peak Signal-to-Noise Ratio (PSNR), Mean Square Error (MSE). 1. H.W. Engl, M. Hanke, and A. Neubauer, Regularization of Inverse Problems. Dordrecht, The Netherlands: Kluwer, 2000. 2. W. H. Richardson, “Bayesian-based iterative method of image restoration,” J. Opt. Soc. Amer., vol. 62, pp. 55–59, 1972. 4. J. Biemond, R. L. Lagendjik, and R. M. Mersereau, “Iterative methods for image deblurring,” Proc. IEEE, vol. 78, pp. 856–883, May 1990. 8. Hanghang Tong,Mingjing Li, Hongjiang Zhang,Changshui Zhang,” Blur Detection for Digital Images Using Wavelet Transform*,”Multimedia and Expo, 2004. ICME '04. 2004 IEEE International Conference on (Volume: 1 ). 13. Xue-fen Wan, Yi Yang, Xin Lin,” Point Spread Function Estimation For Noisy Out-of-focus Blur Image Restoration”, IEEE International Conference on Software Engineering and Service Sciences (ICSESS), 2010. 14. Per Christian Hansen, James G. Nagy, and Dianne P. O’Leary, “Deblurring Images: Matrices, Spectra, and Filtering”..